Of the many challenges associated with maintaining and renovating a building that is more than 100 years old, one of the most difficult is working on the building's water systems. In buildings such as the Cannon House Office Building, the traditional method of fixing a water issue is to drain the entire water system and then fill it back up once the work is complete. This wastes a tremendous amount of water, as well as requires a large workforce to complete the work. 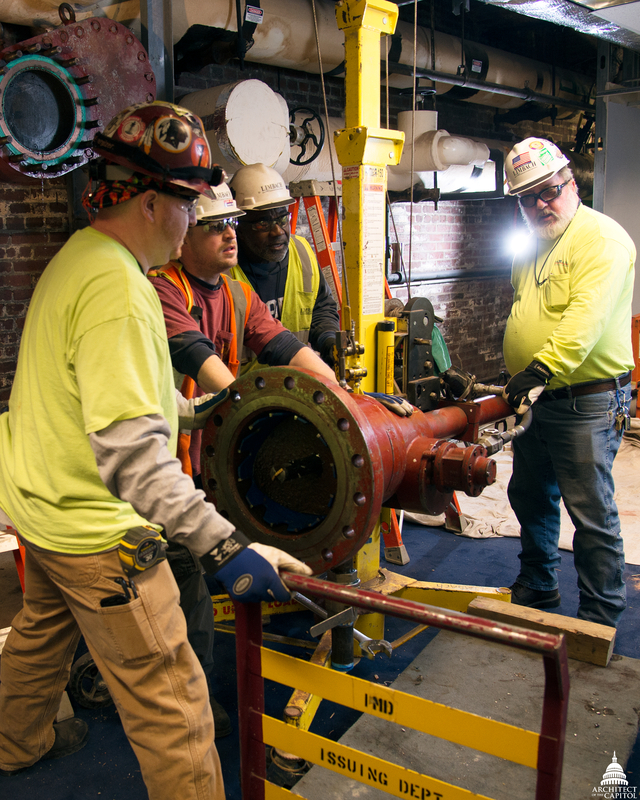 The Cannon Renewal Project is piloting a new technology that allows the waterlines to remain filled while workers install a new valve, which is a device that controls the flow of water through a pipe. Water valves can deteriorate over the life of a large historic building, causing a catastrophic failure that can lead to irreparable water damage. New valves allow for minimal water losses when performing maintenance on the building's water systems. The technology used by the Cannon Renewal Project attaches watertight seals on the pipes and uses cutting devices to install plugs into the system to stop the flow of water while the pipe is filled. Once the plugs are installed new valves are attached to help streamline the isolation of portions of the building for the project’s future needs. All of this work can be accomplished without draining the building's water supply. The plugs are then removed and the holes sealed all inside of a special attachment on the pipe. By deploying this construction best practice, the Cannon Renewal Project will save a tremendous amount of natural resources, require less manpower and result in savings to the American taxpayer. 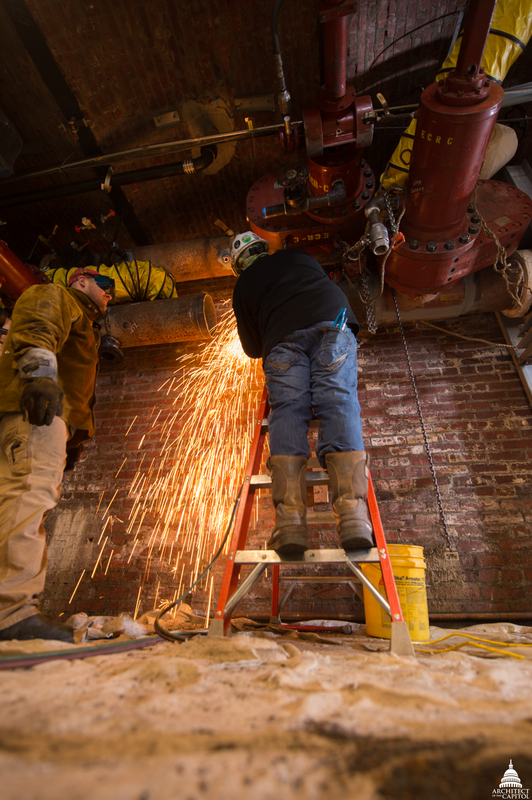 This is yet one more example of how the Cannon Renewal Project is striving to utilize technology to provide a more efficient and cost effective project that will extend the useful life of this treasured and iconic building.